The Wonder Woman: The Art and Making of the Film Hardcover Book celebrates the creation of the groundbreaking Wonder Woman movie while taking fans on a voyage of discovery through the world of Wonder Woman. The book showcases the filmmaking process including early concept art, set and costume designs, sketches and storyboards. This official companion explores the Amazons' rigorous training regimens, their weaponry, armor, Themysciran culture, and the amazing women themselves. 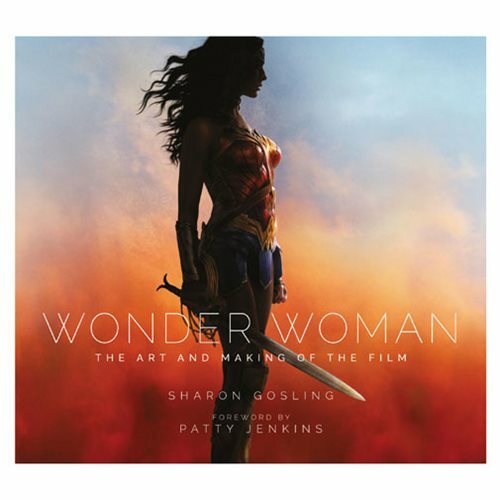 The Wonder Woman: The Art and Making of the Film Hardcover Book features exclusive insights from cast and crew, including director Patty Jenkins, production designer Aline Bonetto, and Diana herself, Gal Gadot. This book is the ultimate guide to the past, present, and future of one of the most iconic heroes in the world – Wonder Woman! The 192 page book measures about 11-inches wide x 10 4/5-inches tall. Ages 15 and up.